Red Wine, Green Tea and Dark Chocolate: We've finally scrapped the Pyramid...hooray! We've finally scrapped the Pyramid...hooray! 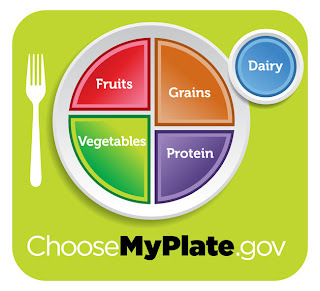 I'm dancing a happy dance today because today Michelle Obama relegated the government’s well-known food pyramid to the sands of history, unveiling a new, simpler image of a plate divided into basic food groups. Thank you Mrs.Obama...and good riddance to that pesky impossible to implement pyramid! 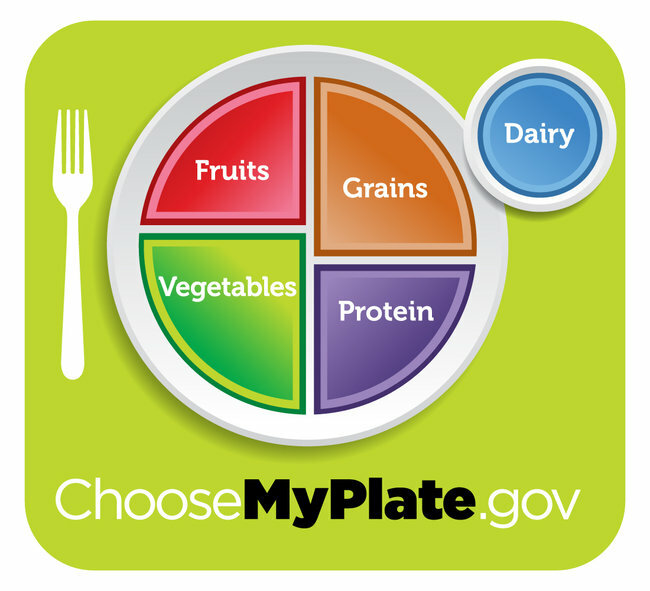 The new design, called MyPlate, was conceived as a crucial part of Mrs. Obama’s campaign against obesity. The plate is split into four sections, for fruit, vegetables, grains and protein. A smaller circle sits beside it for dairy. Mrs. Obama, Agriculture Secretary Tom Vilsack and Surgeon General Regina Benjamin unveiled the new healthy eating icon at a news conference in Washington. The first part of the campaign will encourage people to make half their plate fruit and vegetables. Later phases of the campaign will urge consumers to avoid oversize portions, enjoy their food but eat less of it and to drink water instead of sugary drinks. 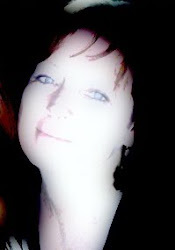 My thoughts? This is a great start and will be so much easier for people to understand...however, if you really want to lose weight scrap the grains, or swap them for legumes a few days each week and do 3/4 of the plate as fruits and veggies....and swap the dairy for unsweetened tea or water. Feel free to use veggie proteins ie beans and grains, or tofu too. Start using smaller plates and don't go back for seconds...go for a walk instead.